Kryptonian Warrior: Toy Story 3 - New Pic - The Gang's All Here! 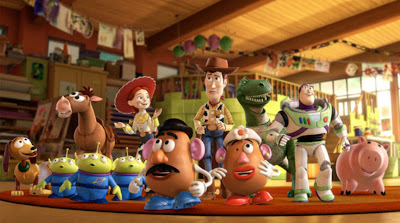 A new pic from the upcoming Toy Story 3 movie has been released over the last couple of days. Nothing really new or special, just the old gang from the last two movies on show surveying what seems to be the pre-school room from the trailer. Looking forward to this one, you can't beat Pixar movies, especially Toy Story! Any idea of when this is likely to be released yet please?